We’re bringing a mix of funk and bluegrass to the Steamer this month! They say that variety is the spice of life, so at this month’s Boiler Shop Steamer on Saturday 6th June we’re bringing you a lucky dip of some of the finest funk and bluegrass the region has to offer. Headlining this month’s event are Newcastle septet The Brass Studs. Since foming in 2013, the band have been on a very important mission: to get everyone dancing like it’s 1979. Again. They’re joined for a special evening set by Gateshead’s finest bluegrass group, The Kentucky Cow Tippers (est. 2008, maturing like a fine bit of bourbon). 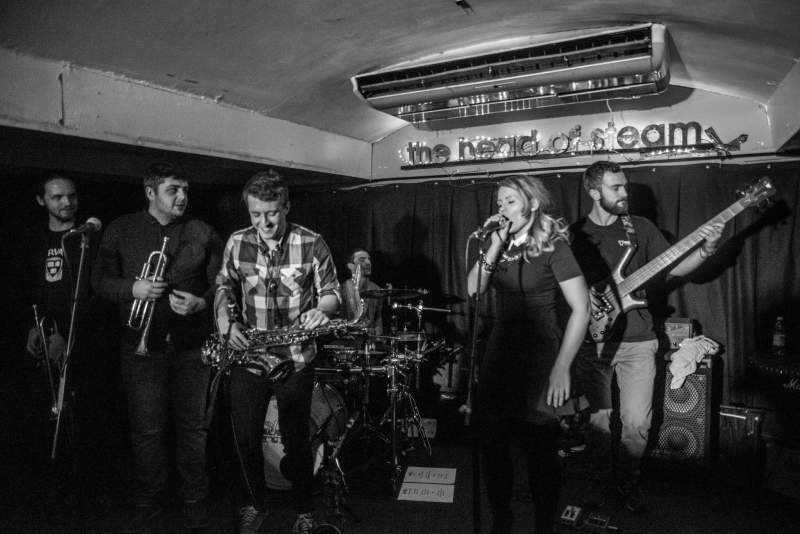 The five-piece will be providing the Americana meat to a delectable funk sandwich on the night. In the afternoon, you can look forward to the delights of 70s Cop Show, a five-piece Newcastle based band playing some of the tightest funk this side of the Tyne. Of course, as ever there’s also a lot more on offer from the Boiler Shop and in order to get the full experience, you’ll need to check out this month’s bevvy of pop up restaurants. This month’s pick is Steamer virgin On The Goa, providing a mix of Indian street food to tantalise your taste buds. There’s also food available from juicy burger bar The Fat Hippo, stone baked perfection from Screem for Pizza, street scran from Electric East, meaty and veggie Shwarma wraps from Papa and Mama Ganoush and much, much more! Plus, there’ll be music all day from some of the best DJs in the region. The Brass Studs, The Kentucky Cow Tippers and 70s Cop Show play at the Boiler Shop Steamer, Newcastle on Saturday 6th June.